Designed for students at the top end of primary school and lower secondary school, as well as adult basic skills learners, this is an intermediate resource between a simple wordbook and a full adult dictionary. 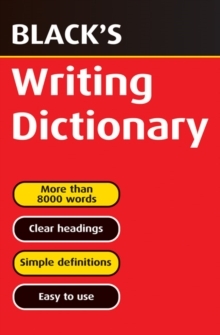 It contains over 8000 words with simple definitions, offering writing and spelling support without complicated meanings and grammatical labelling. Black and red colour coding is used to identify head word, definition, derivatives and plurals, and there are clear headings at the top of each page.